For this case study, I will be analyzing a restaurant located in Culpeper, Virginia called Grass Rootes. On their website, the restaurant offers visuals such as pictures of the food they create, the layout of the building, and vintage signs they have labeled the restaurant with. Additionally, there is a lot of the verbiage relating to the cocktails and bar that Grass Rootes acquire, which is beneficial for younger populations, however, the restaurant itself is higher-end and more expensive, hence, older generations are more likely to utilize the restaurants services compared to younger individuals. 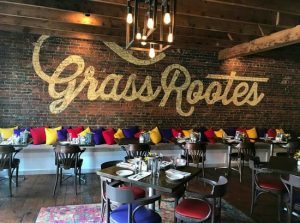 Additionally, being a farm-to-table dining experience, there is no information on how Grass Rootes gets their food and whom they get it from. This information would be beneficial for those local to the Culpeper community who are interested to see if they know any of the local farmers, etcetera who may have played a role in the food they are consuming. To improve these disadvantages, I would initially start by incorporating more information on the food sources (if it be farms, farmers, or local friends/family) while also giving a brief explanation for higher prices for those who might not fully understand the farm-to-table experience and associated prices. Additionally, I might incorporate more pictures of the facility along with the live bands that are so heavily advertised. Lastly, I would certainly keep the rhetoric about the cocktails, but I would maybe add some visually appealing videos/pictures in regards to that.